Participants in the RoboCup@Home League compete in the degree to which their robots can perform operations that assist human life in domestic environments such as a living room or a kitchen, using an everyday robot utilization scenario. Important technologies in the competition include robot arm control and manipulation, such as for opening and closing doors and holding objects. Importance is also placed on the robot’s ability to track a human being, and the establishment of naturalistic robot-human communication. Additionally, RoboCup@Home tests the use of all kinds of sensors for voice interaction and image recognition technologies. Please direct all general registration questions and inquiries via email to April.RoboCup@gmail.com. Please direct any questions regarding the distribution of letters of invitation via email to info@robocup2019.com.au. Only qualified teams can register. Please wait until your league qualifies the teams and your team will be available in RegOnline. There is a registration code necessary which we will send to the team leaders of the qualified teams. Registration proceeds separately for each qualified team and for the team leader and team members. When registering a team, you need to include the information for a "point of contact" for the team. Please note, though, that the person serving as point of contact is not registered at that time, but only the team is registered. In addition to registering your team, all team leaders and team members need to register as Faculty/Staff or Student participants. Registrations are only complete when payment is received. Credit card payments are immediately validated. We strongly recommend payment by credit card. The other available method of payment takes time. No registration is considered complete until full payment is received. The participants from the countries requiring visas will need an invitation letter. Also please visit the following website for the latest information on visa applications. The invitation letter will be sent by email to the participants at our very earliest convenience after the registration is complete. Please wait patiently for the payment to be complete. If you still have questions, please email to info@robocup2019.com.au. Qualified teams are organized by league. No major team can register after May 31, 2019. *Major Individual – Faculty who do not have teams, but want to register for the competition can register as a non-participant. No prior registration of a team is required in these cases. These participants are invited to all social events, but may not enter team areas and do not receive a RoboCup 2019 certificate. We strongly encourage everyone to register as early as possible. Please avoid on-site registration, as we may be forced to reject on-site registrations due to space limitations. Nobody will be admitted to the site and to the team areas before being fully registered and all payments have been received. There will be no exceptions. Long waiting hours may be incurred at the on-site registration. Before you can register your junior team, the team must be qualified. Please contact your RoboCupJunior national representative for all questions concerning qualification. Junior teams must have at least two student members in order to register. Junior teams must consist of minimum of two student members. Parents or other mentors need to register as Junior Parent/Chaperone for permission to enter the site at any time, to be admitted to certain restricted areas, and to participate in social events. Parents accompanying their children, who want to visit the site only during hours for public access and only in areas open to the public, do not need to register. For visitor information, please visit: https://2019.robocup.org/visitors.php. It is possible for both faculty and students to register as Symposium Only participants. Invitation letters to Symposium Only participants are issued to those with accepted publications therein, only. On the registration web site, choose “Symposium Only Faculty/Staff'' or ''Symposium Only Student''. All registered team members are automatically admitted to the Symposium. Team members do not need to register separately for the symposium. This is the preferred method. Available only until june 7, 2019. Wire transfer should be used in exceptional cases only, and if credit card payment is not possible. Registration will be considered complete only if the amount due is received in its totality in us dollars in the bank account on or before the respective date (e.g., April 30th, for early registration). It is your responsibility to ensure that this will be the case. In order to help expedite the payment process, we ask that you please send your wire transfer transaction information to april.robocup@gmail.com. Please note that wire transfer payments will be deactivated after June 7, 2019. An Invitation Letter will be sent to a team member once the team registration and the team member registration have been completed, i.e., payment has been received. There will be no exceptions. The full registration amount will be refunded, except for a handling charge of $100 per person, and $100 for the team if the team is also cancelled. Any team interested in participating in RoboCup 2019 must successfully pass the league specific qualification process. The league deadlines usually close around December – January. Please note that the criteria for qualification and deadlines for submitting all qualification material will vary for each league. To stay up to date on RoboCup 2019 news, please complete the link below. RoboCup 2019 strongly recommends that you consider the use of our official logistics partner in order to obtain safe and smooth logistics service for your precious robots and equipment. If you are sending freight to RoboCup 2019 you MUST complete one of the forms below. Participants who require full transport from your premises and delivery directly to the ICC Sydney and the returning back to your premises within Australia. Please complete and return to 12 June for a full quote. Participants who would like to access the loading dock using their own vehicles or suppliers during set up and pack down are required to fill in this form and return by 12 June. Please note that you can only delivery to the venue on Tuesday 2 July and Wednesday 3 July. Participants can also choose to send their freight to Schenker’s Sydney warehouse. 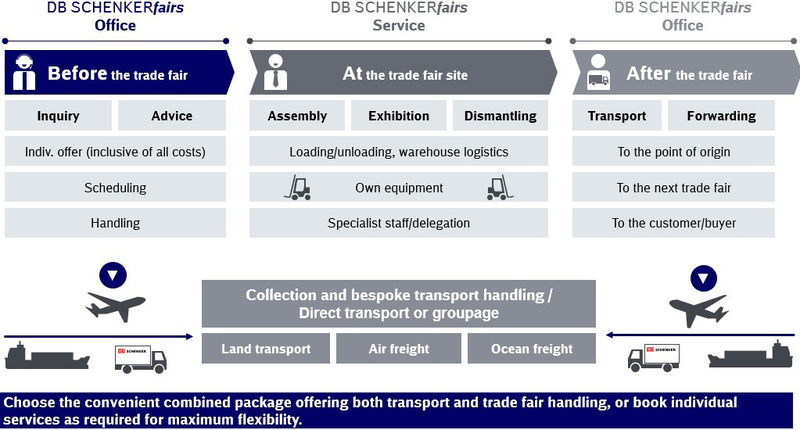 Schenker will then arrange transport from their warehouse to the ICC Sydney and return (if required). Charges apply. For all International requests please contact Steven or Adam below. They will put you in contact with your local representative who will forward all relevant forms for your country. All freight arriving into Sydney via airfreight should arrive in Sydney Airport by 19 June. All freight arriving into Sydney via ocean freight should arrive in Sydney Port by 14 June. Schenker terms & conditions attached for your reference. For the safe transportation of Lithium Batteries, please check the Lithium Battery Guidance Document developed by IATA. RoboCup 2019 will be held at the new International Convention Centre in Darling Harbour, Australia's premier integrated convention, exhibition and entertainment precinct. The venue is centrally located and easily accessible by ferry and bus services, and only a ten minute walk from Central and Town Hall train stations. The ICC Sydney boasts world class technology and services, providing comfortable conference facilities, purpose-built spaces, theatres and networking lounges to facilitate all your professional needs. Featuring a striking contemporary design, ICC Sydney is a beacon of innovation, learning and entertainment, connecting and celebrating leaders of invention, business, governance and the arts. Sydney if Australia's largest and oldest city, with a rich multicultural history. The city surrounds the largest natural harbour in the world, Port Jackson, which includes Sydney Harbour, Manly and Darling Harbour. This multi-cultural city also has an impressive line-up of festivals and events and a vibrant dining scene that includes Quay and Sepia, which feature on the prestigious S.Pellegrino World's 100 Best Restaurant List. Beyond the city you will find historic wine regions, such as the Hunter Valley, coastal retreats and forest landscapes, including the World Heritage listed Blue Mountains, all of which offer locations to host memorable events and team-building activities. Sydney Airport is about 10 km from the ICC Sydney and easily accessible by train, bus or car. Trains depart frequently from underground stations in the airport's domestic and international terminals. Public buses depart from bus stops outside T1 and T3 (but not T2). Shuttle buses will deliver passengers to their hotel. Reservations at T1 and T3 information desks. Taxis are available from organised taxi ranks directly outside the terminals. Rental cars are available at all terminals from various rental companies. Personal pickup – there are various passenger pickup zones. For details, check out Sydney Airport's website. T1: International Terminal is used for international flights. It is open every day from 3am to 11:30pm. Customs are opened for departures passenger processing at 4am daily. T2: Domestic Terminal is used by domestic and regional airlines including Jetstar, Virgin Blue and Tiger Airways. T2 Domestic Terminal is open every day from 4am to 11pm. T3: Qantas Domestic Terminal is used for Qantas domestic flights. It is open every day from 4:45am to 10pm. An efficient network of transport options make travelling to attractions in Sydney and regional NSW affordable and enjoyable. 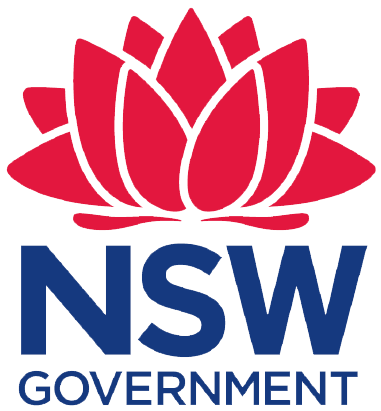 The Sydney public transport system, provided by Transport for NSW, consists of trains, buses, ferries and light rail. Use trop planner at transportnsw.info to plan your travel. The Opal card is an easy, convenient way of paying for your travel on public transport in Sydney. It's the only card you'll need to get around on all public transport including trains, ferries, buses and light rail. For more information, visit www.opal.com.au. An icon of Australia, the Sydney Harbour Bridge, endearingly referred to as the 'coat hanger' by some locals, is not just a wonderful landmark to observe at a distance. Whilst in Sydney climb, walk, or travel across it in and enjoy some of the best views the harbour city has to offer. The fitter and less faint-hearted may like to consider a challenge at greater heights: guaranteed to be an experience you'll never forget! Bridge Climb is one of Sydney's most popular attractions. There are now four unique adventures to choose from; The Express Climb, The Discovery Climb, The Bridge Climb and the NEW Mandarin Climb. Climbs are available at dawn, day, twilight and night. One of the greatest triumphs of modern architecture, the World Heritage Listed Sydney Opera House is a must see. Sydney Opera House has a colourful schedule of performances throughout the year and offers interactive guided tours of the building. Take a leisurely stroll around the building and enjoy the 'sails of Sydney' close-up. Take a unique historical journey and learn about Sydney's past on one of the harbour Islands: Fort Denison, Shark, Clark, Rodd, Goat and Cockatoo. Each has stunning views of the Harbour and its own little treasure chest of secrets. Guided tours are available during the day and some nights. The Rocks is nestled on the southern side of the Sydney Harbour Bridge. Its cobblestoned laneways and heritage architecture entice you to lose yourself and discover a wealth of history. As the traditional home of the Gadigal people, and the place of first European settlement in Australia, there are many stories to be revealed. The Rocks is home to some of Sydney's finest restaurants, bars and boutique stores. It is abuzz with cultural activities and on Sunday has a weekly art and crafts market. Imagine a place that's always open, always pleased to see you and always looking for bigger and better ways to have fun. This is what you get every time you come to Darling Harbour, one of Sydney's premier visitor precincts. You will find restaurants, cafes, shopping centres and outdoor activities. Popular with backpackers, billionaires, board riders and the body beautiful, Bondi is one of Sydney's most stunning beaches. A walk along the beachfront promenade gives you the chance to experience its carefree sun-drenched lifestyle. Bondi Beach is about 30 minutes by public transport from the Sydney city centre. The Bondi Beach to Coogee Beach Walk is a 6km (one way) picturesque coastal route that weaves across beaches, bays, cliffs and stunning Pacific Ocean views. 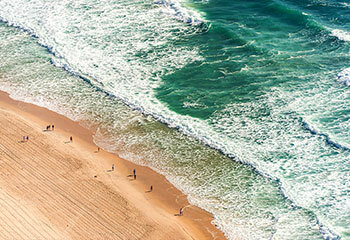 Nestled between a tranquil inner-harbour beach on one side and a popular Pacific Ocean surf beach on the other, Manly combines a laid-back attitude with a sophisticated dining scene and stylish shopping. Ferries leave from Circular Quay to Manly regularly. Meet a koala, a kangaroo, echidna or a platypus - and over 2000 other wild and wonderful creatures at Taronga Zoo. Taronga, an Aboriginal word for "water view" is located on the north side of the harbour and bodes some of the most spectacular views of Sydney from its elevated vantage point. The zoo is located just 12 minutes ferry ride from Circular Quay. Be inspired and delve into Sydney's history, culture and artistic talent at one of several quality museums around the city. The Australian Museum is the country's first museum. It houses an extensive natural science and cultural artefacts collections and runs engaging public programs and exhibitions. SEA LIFE Sydney Aquarium is one of the world's largest aquariums. It houses over 13,000 animals from over 700 species of Australian sea life and runs exciting visitor experiences. Don't miss the daily shark feeding! The Sydney Aquarium is situated in Darling Harbour. Discover breathtaking landscapes, sit and listen to a rainforest stream or contemplate a wilderness stretching out to the horizon. It's the perfect place to reconnect with nature and rejuvenate your soul in Australia's most accessible World Heritage Listed wilderness. 180 years young, Australia's oldest and best known wine region is soaked in history but is certainly not a museum piece. It's a dynamic and fascinating area that brims with over 150 top-class wineries, 65 indulgent restaurants and 180 places to stay as well as gourmet produce, boutique wineries, special experiences and friendly local communities. Explore Taronga Western Plains Zoo, an African safari experience in regional New South Wales. Roam over 300 hectares of open bushland, home to elephants, giraffes, hippopotamuses, big cats & world renowned rhinoceros breeding programs. Sydney continues to attract major world fashion brands making the inner-city an unsurpassed shopping experience. You'll have fun stocking up on the latest boots, party frock or piece of jewellery in stylish shopping centres and boutiques across the city. Shopping at an outdoor market is where you'll pick up some great vintage finds or the next hot fashion name.